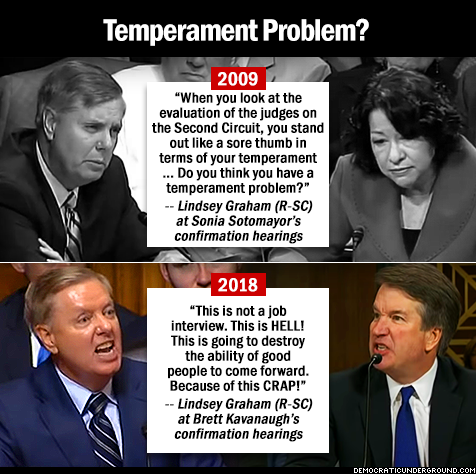 If you are like me, you have spent most of the week watching the stunning drama play out surrounding Republican efforts to confirm Trump’s Supreme Court nominee, Brett Kavanaugh. Through it all, former criminal investigator and criminal defense attorney Seth Abramson has remained my go-to person in regards to the legal aspects surrounding that controversy. For those unfamiliar with his work, Abramson has been publishing extensive Twitter threads and mega-threads regarding the ongoing investigation into alleged ties between the Trump campaign and Russia. I consider him to be highly credible, as does that impressive list of media outlets. 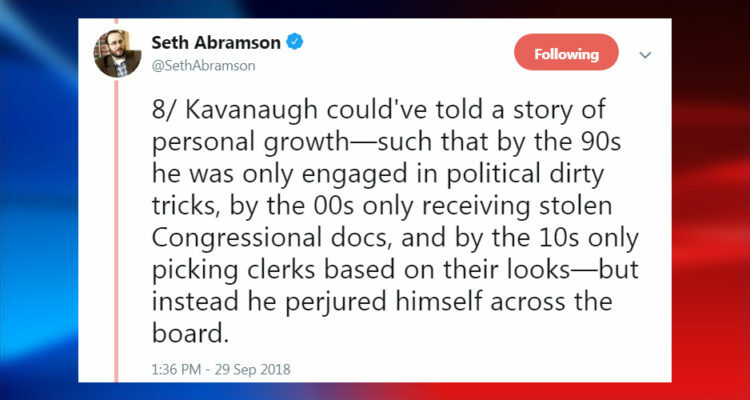 Abramson weighed in on the recent allegations lodged against Kavanaugh, making a compelling argument that there is more than enough circumstantial – and factual – evidence to justify denying him confirmation to a lifetime appointment to the country’s highest court. 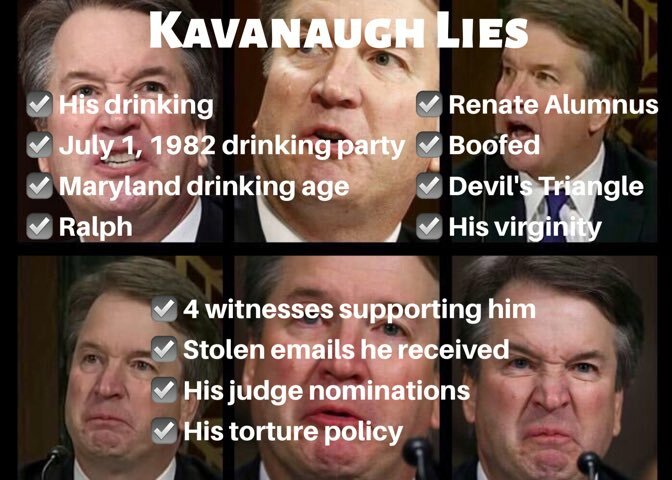 It is just me, or does he seem incapable of telling the truth? Does that remind you of anyone?